Rob plays radio: Code or no code....that is the question! When I returned from my many years away I was amazed at the changes that had taken place. 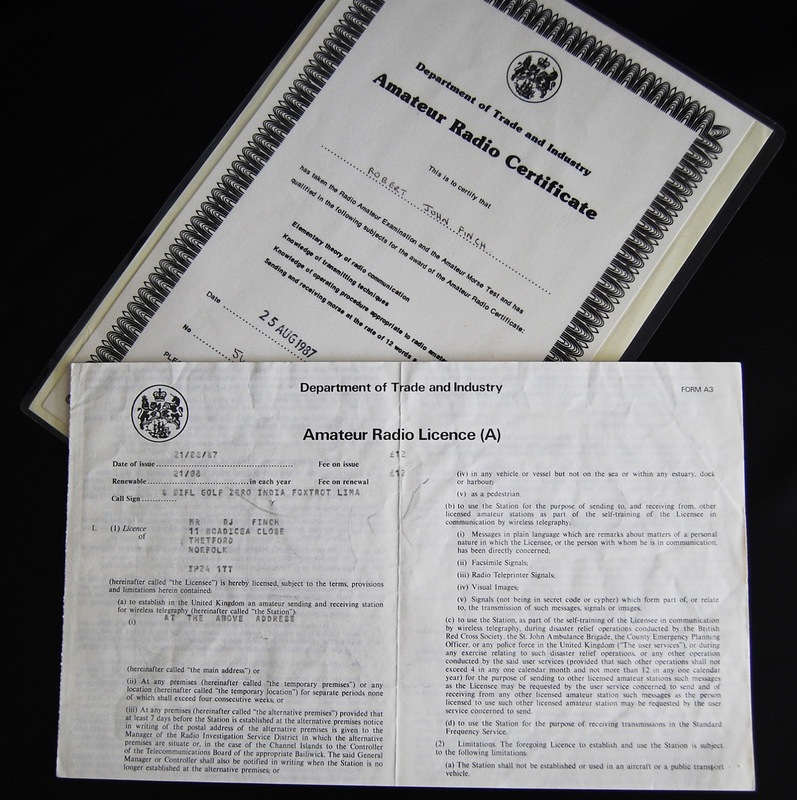 Strange call signs, several licence levels, different exams and no morse requirement. In the late '80s, I recollect someone saying that there was a chance many of the allocated amateur frequencies would be reduced, or even taken away, as the number of hams had fallen so much. So needless to say, and much like most things when numbers are falling, it got a whole lot easier to obtain a licence and, subsequently, be permitted to use the HF frequencies. I appreciate that the senior members of our hobby took a different exam to me but, for me, the old C&G RAE was something you had to really put some effort into if you wanted to get that Class B licence. I have always been more interested in electronics, even though I ended up with a mechanical career, but without the help of the local hams (G4VEL & G0CLT in particular) I might not have been fortunate enough to pass. And yes, I do consider myself fortunate as, as said, it wasn't easy. My first radio was a FT-290R which was connected to a 14ele Parabeam with masthead pre-amp. It worked well and I enjoyed many contacts with this set up. But, it wasn't long before I started to feel I was missing out after spending many an hour round G0CLT's listening to his exploits of HF. I managed to convince him to teach me morse and, after 6 months (or so) I had got to a reasonable standard. It was at a rally in Cambridge when G4VEL spontaniously went up to the RSGB morse tester and gave my name for a test. I had no time to get nervous and, somehow, managed to do just enough to get through the session. And there it was, all done. A tough exam and even tougher morse test and I was now a Class A.
I always saw the morse test as a stepping stone to the promised land and feel that removing the requirement has somewhat diluted things. I still bracket UK licence holders with the old Class A, Class B heading and, although I do not begrudge that they are able to use the full spectrum, just feel that things could have been done a little different. So for me, there is no mystery in Amateur Radio anymore. The Foundation licence is not challenging in the least and if you can read and memorise a few diagrams you will inevitably pass the Intermediate licence in a lot shorter duration that it took me to get on HF. If the aim was to get more people licensed, then that aim has been realised!